Our company helps protect and beautify your largest investment – your home. 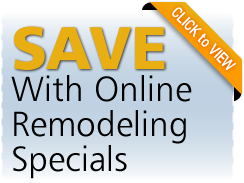 Our Ponte Vedra clients expect the courtesy and convenience of working with a professional remodeling contractor. We have been operating in Northeast Florida since 1973, and look forward to providing you with excellent service. There’s nothing typical about our Ponte Vedra customers, or our projects. 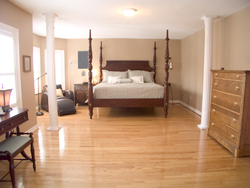 At Atlantic Total Solutions, we work hard to offer personalized services to fit your specific remodeling needs. We are passionate about helping our clients create Ponte Vedra homes that work for them on a practical level, while inspiring them to imagine the home of their dreams. Whatever the scale of your Ponte Vedra remodel project, you’ll receive quality work from a skilled craftsman and the courteous, professional service that our clients have come to expect. We offer a wide range of interior and exterior painting services in Ponte Vedra, and we approach every project with the highest level of quality craftsmanship. We use top quality paints from most major brands. The brand of paint we use can be influenced by many factors including customer preference, the nature of the Ponte Vedra project, and other bid specifications. We pay attention to the details and deliver quality work paired with top-notch customer service at an affordable price with premium paint always included. We also provide house painting, paint colors,painting a house, painting and house paint. "We hired Kevin to paint the exterior of our home in February, 2009. During the decision process, Kevin's name came up several times from various neighbors and business contacts. Kevin was prompt in returning phone calls, and prompt and accommodating in setting appointments. His pricing was competitive, his referrals outstanding. Needless to say, we hired him. As our renovation grew, we extended the contract to include the interior of our home. On both projects Kevin was both helpful and patient during of color selection. I can not say enough about the work ethic of his employees. Without fail they showed up on time and worked diligently throughout the day. They were the first to arrive and the last to leave. They were always respectful. Extremely neat. Kevin not only gave great service prior to the contract, but followed up with the same level of professionalism during our renovation (working very well with a number of other sub-contractors). Then followed up yet again after all invoices were paid. He took great pride in his work and certainly went the extra mile to make sure we were happy. It is without hesitation that I recommend Kevin and his employees. Please feel free to contact me with further questions/inquires." 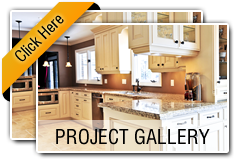 If you are looking for a Ponte Vedra remodeling contractor then please call 904-757-9641 or complete our online request form.